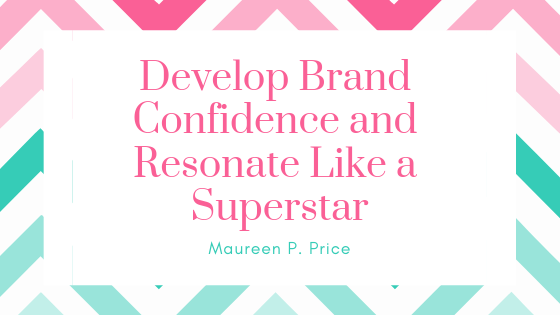 Would you like to develop brand confidence and resonate with your audience like a superstar? Are you a digital marketer or entrepreneur who is struggling to communicate with your target audience? If so, it’s time to take a look at your brand. A mistake I see a lot of digital marketers and entrepreneurs make is they invest money on brand materials like logos and images without getting clear on their purpose and core message. This is important because you build a brand by staying aligned to a core message about your business. This is often the most challenging part, but it’s the most important. 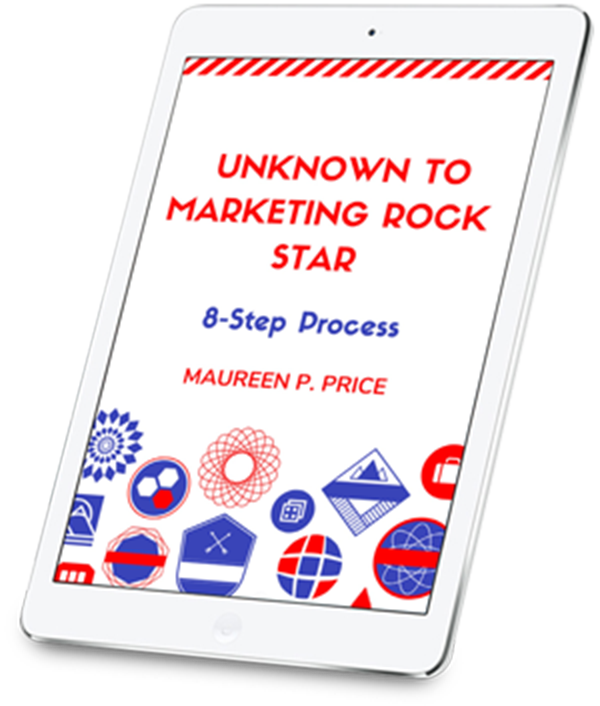 Your customers want to know what it is about you, that makes you perfect for them. So it’s important to give them a clear message about what you stand for and how you are different from your competitors. 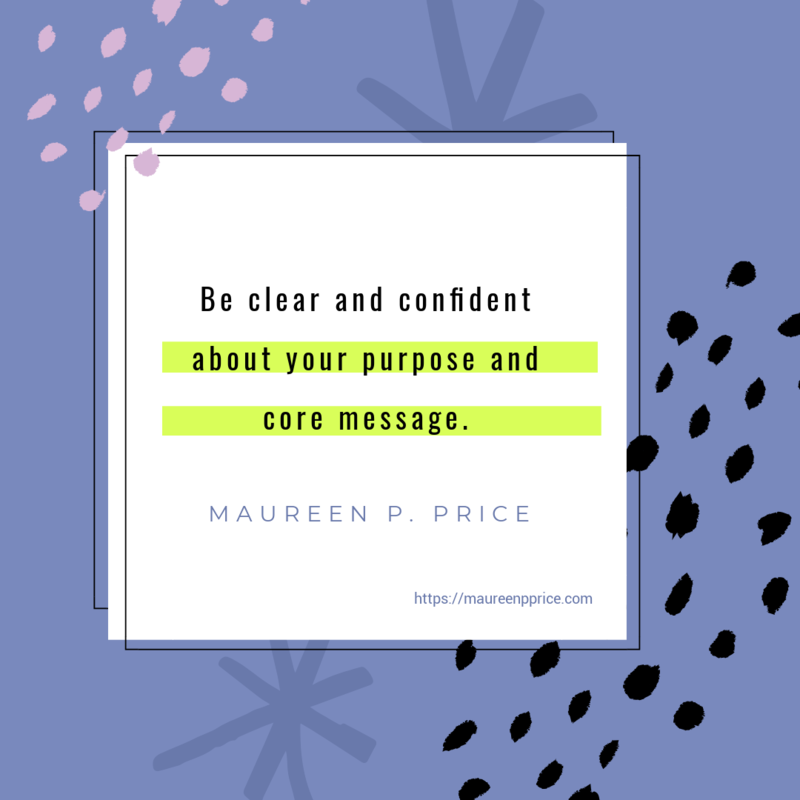 Whatever your idea, whatever you market, sell or promote – whether it’s a cause, art, products or services – one of the ways to differentiate from your competitors is to communicate your purpose. Products can be similar, but your purpose is unique. In today’s noisy, distracted online world, if you want to get attention and engage your audience, you need to stand out rather than fit in. This can be a problem because our brains are hardwired to fit in. Millions of years ago, if we stood out on the savannah, we had a greater chance of being attacked by animals or rival tribes. Even though most of us live in cities, we still have this survival instinct to protect us from criticism or rejection by the tribe. Playing big – following our callings and dreams – puts us all in a vulnerable place, but for women the stakes are especially high. We know playing bigger may bring painful criticism or rejection, that others may call us uppity, not likeable, too aggressive, bitchy, angry, not nice. We’ve watched that happen time and time again to women on the national stage. We’ve read violent, objectifying, often vulgar comments made about prominent women, particularly in online media. Our own safety instinct seeks to protect us from that external criticism by spewing cruel self-criticisms (“You aren’t ready for that, you don’t know what you’re talking about”) that keep us from stretching into greater visibility and encountering those kinds of attacks. Recently Megyn Kelly, Fox News Host asked Donald Trump, US Republican Presidential hopeful about his views on women. She said he called women “fat pigs, dogs, slobs and disgusting animals.” Trump said it was only Rosie O’Donnell. Megyn Kelly said his Twitter account had several disparaging comments about womens’ looks. I loved how Megyn Kelly sounded powerful and confident in her questioning of Trump. In stark contrast to the billionaire bully is superstar singer/songwriter, Fergie. Outspoken is about speaking your mind, about being a woman, not being afraid to have an opinion and to be bold and confident. And that’s what Outspoken Intense is about – magnifying that and just being fearless. I think Fergie has captured the essence of her brand with these words. I have long admired her confidence and talent in singing and dancing especially when she was the only female member of The Black Eyed Peas. Why is noticing and naming the voice of self-doubt so powerful? Liberating yourself from the influence of the inner critic depends on a very simple insight. You are not the critical voice. You are the person aware of the critical voice. I love Tara’s inspiring work and how she draws a distinction between the person and the voice of self-doubt. You know you have a powerful message to share with the world. You decide that you are determined to stand out because of your powerful message. You COMMIT to taking action on your decision. What happens if you don’t make a decision to take a stand for what you believe in? Not many people will notice you and that means few customers and little money. When you make a decision and act on it, you feel confident and powerful. When you feel confident and powerful, you communicate what you stand for, find your audience and distinguish yourself from the crowd. It’s time to share your message with the world. I can help you do this in my VIP program Unknown to Marketing Rock Star. 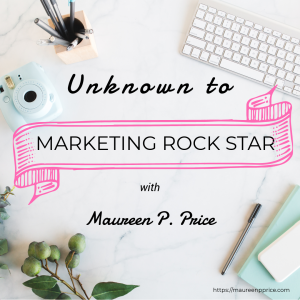 Imagine how confident you will feel when you’re resonating with your audience like a superstar. If you would like help with brand confidence, send a message via my Contact form. This is such a fantastic article. It is true that there are many competitors but our voice will never be heard unless we know how to communicate with our audience and clients. Knowing what we want and how to succeed is what brings confidence. Thank you Zaria. Some people need help to develop their brand voice so they can effectively communicate with their tribe. Perhaps you might be interested in my new offer Powerful Brand Voice + Brand New Sales Page.